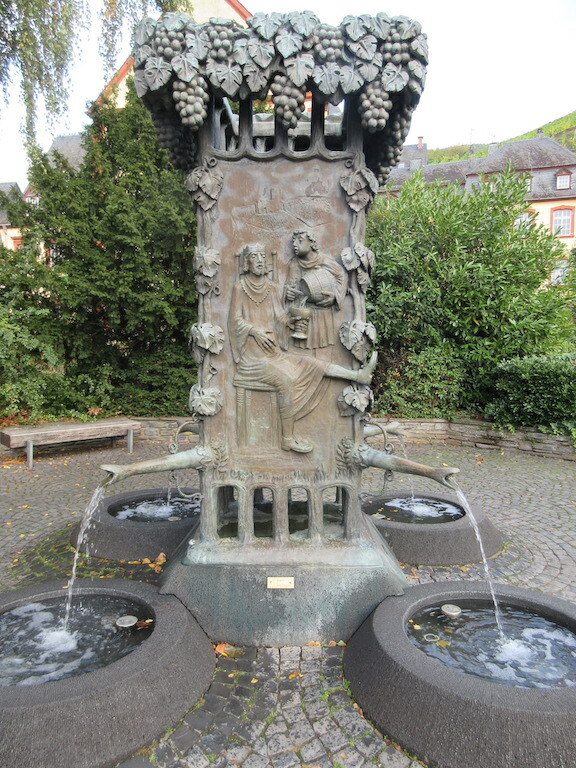 Our stop on this day took us to the small town of Bernkastel, known as the International Town of Vines and Wine. 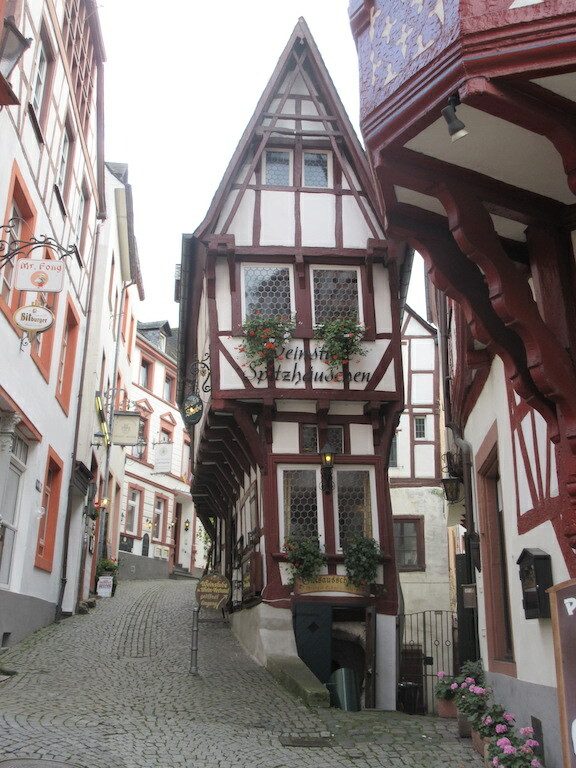 This historic city is filled with gorgeous historic gabled timber-frame houses from the 17th Century. Our walking tour took us through the Jewish section of town, several ornate fountains, unique timber-frame houses and lots of bakeries and sweet shops. This is the sweetest little town that we have visited thus far. What it lacks in size it makes up in character and charm. Kent went to the Jewish cemetery with a Jewish couple from New York city and Rita where there were 33 Gravesites in the cemetery. The Jewish lady found her acquaintance or grandparent’s graves among those buried there. 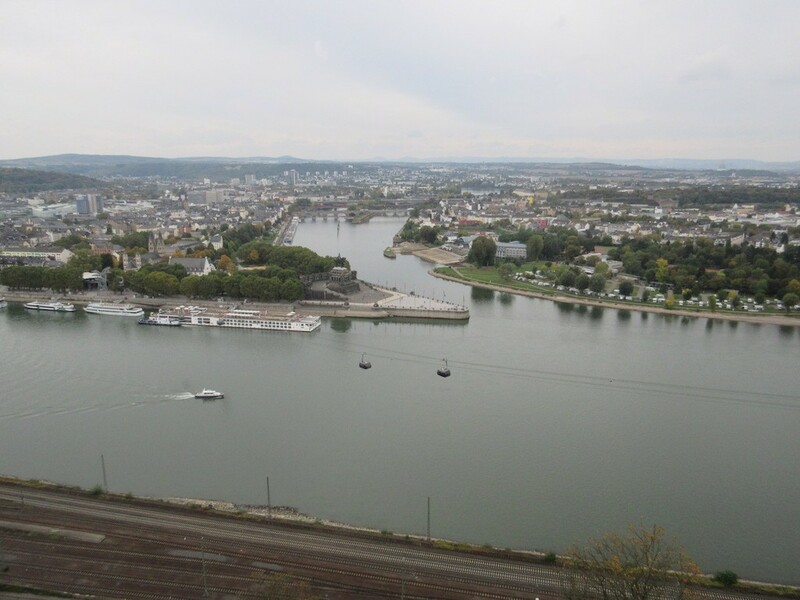 The cemetery is located high above the river and city in the vineyards. This region is well known for its Riesling grape vineyards and wines. The population of the town is only about 7,000 inhabitants. Our tour took us to a charming wine tasting shop complete with a cellar where we sampled several varieties of the local Riesling wines. The afternoon was free for us to further explore the town on our own. Kent and I sat in a cute little coffee and pastry shop for coffee, hot chocolate and treats to watch the people go by. There are remains of an old castle high up in the hill above the city but we chose not to walk up there to explore it today. After dinner we had a troupe of young Can Can dancing girls direct from Paris to entertain us. They performed a variety of different dances, songs and comedy including some audience participation where several men were called on stage to try out their dance skills. Luckily we escaped the audience participation. The show was very entertaining and I think all of the guests enjoyed the entertainment. We had seen them on our Vantage river boat tour of France last year but we still enjoyed them and their high kicks. The weather was very cold with day time highs at only about 50 degrees and some light rain. It was also cloudy and grey. First thing in the morning we had a lecture about the Romans by Dr. Wolfgang Alt a local historian. He discussed how much of this region was controlled by the Romans and information about the roads, churches and bath houses that were originally built at that time. 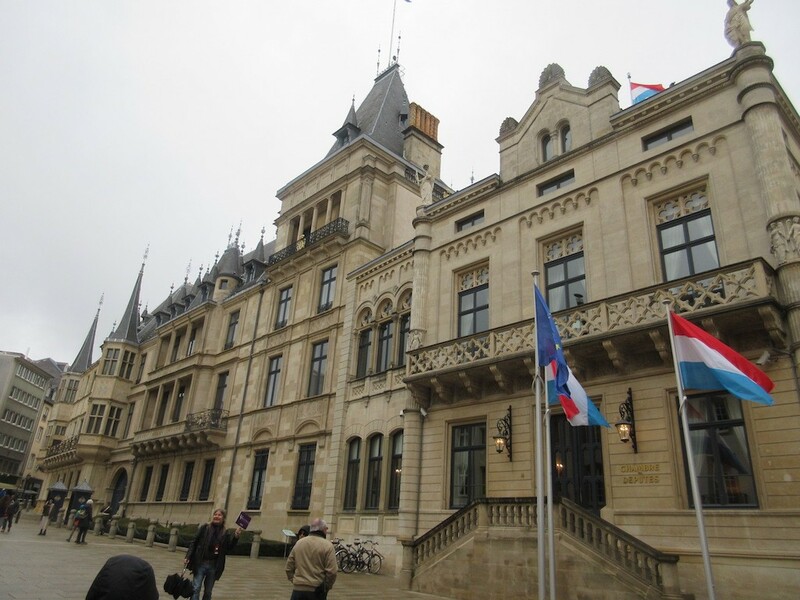 An optional tour took us to Luxembourg city with a population of about 115,000 inhabitants. The country of Luxembourg is about 1,000 square miles in size (about the size of Rhode Island) and has a population of 525,000. Luxembourg is one of the smallest sovereign states in Europe and is headed by a grand duke, Henri, Duke of Luxembourg. The city is built on a plateau in a large canyon atop high rampart walls. We visited the Luxembourg church built in the 1600’s and later added on to some 300 years later. The church contained beautifully bright and colorful stained glass windows, tapestries, murals and ornate carvings. 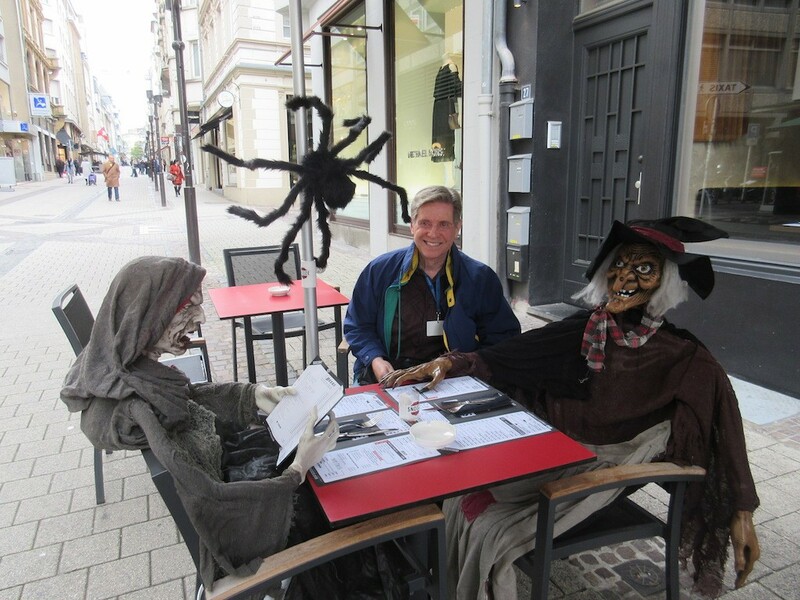 We stopped for lunch with some new friends Rita and Leslie as it was extremely cold out and we wanted to warm up. The small deli/market with a restaurant had a plate du jour featuring roast turkey with a tomato and pea sauce, cauliflower, broccoli and some pasta noodles. The turkey was very dry and over cooked but being inside got us warmed up. 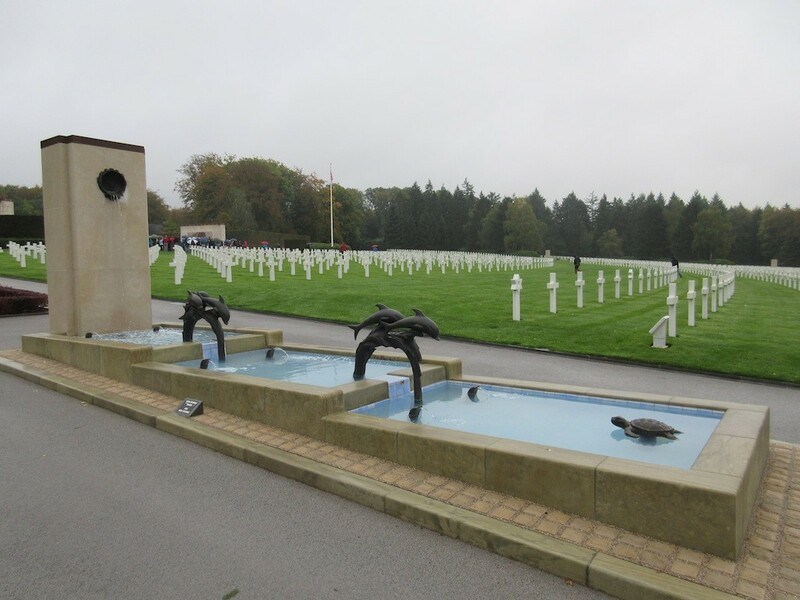 We also visited the Luxembourg American Cemetery where 5,076 American service members are buried. The 50-acre cemetery was given to the US in 1951 for free and without taxation in perpetuity. Most of the service members were killed in the Battle of the Bulge which was fought nearby in the winter of 1944/45. Resting here is the grave of General George S. Patton, one woman and 22 sets of brothers. The cemetery is beautifully maintained similar to, although smaller than, the cemetery at Normandy in France. The lawns are perfectly manicured and the rows of white marble crosses are placed in perfect rows. The veterans from our ship participated in a laying of a wreath ceremony in front of the memorial before a guide told us about the local battles and stories of a few of the soldiers buried here. 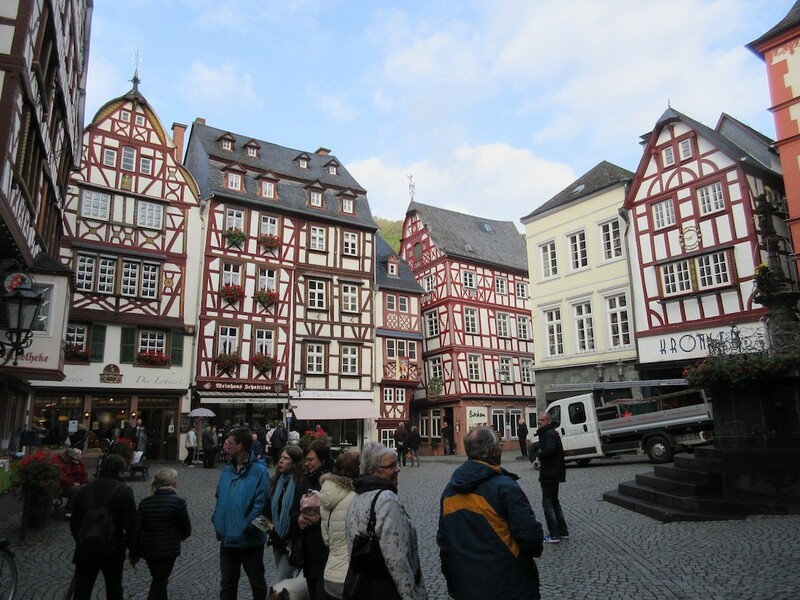 Cochem was believed to be settled in the year 886 and today is a town of only about 5,000 residents. 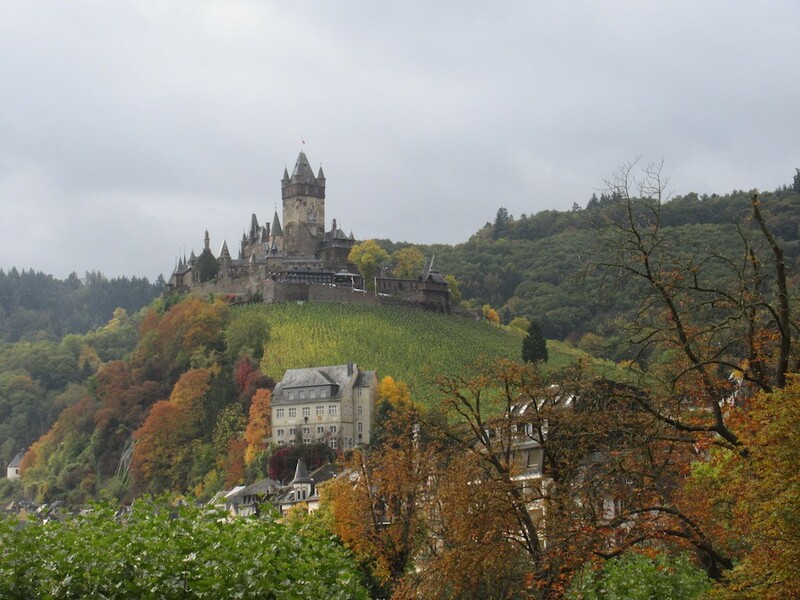 We visited the Reichsburg Cochem Castle built around the year 1,000 by Count Ezzo. The castle was occupied by many rulers of the time until the year 1689 when King Louis XIV of France invaded the Rhine and the Moselle area and the castle was set on fire and blown up. The castle remained in ruins until a Berlin business man of French dissent named Louis Ravene bought the castle and the grounds in 1868 and began to rebuild the castle. The castle was rebuilt in the Neo-Gothic style that was popular at the time and used as a family summer residence. 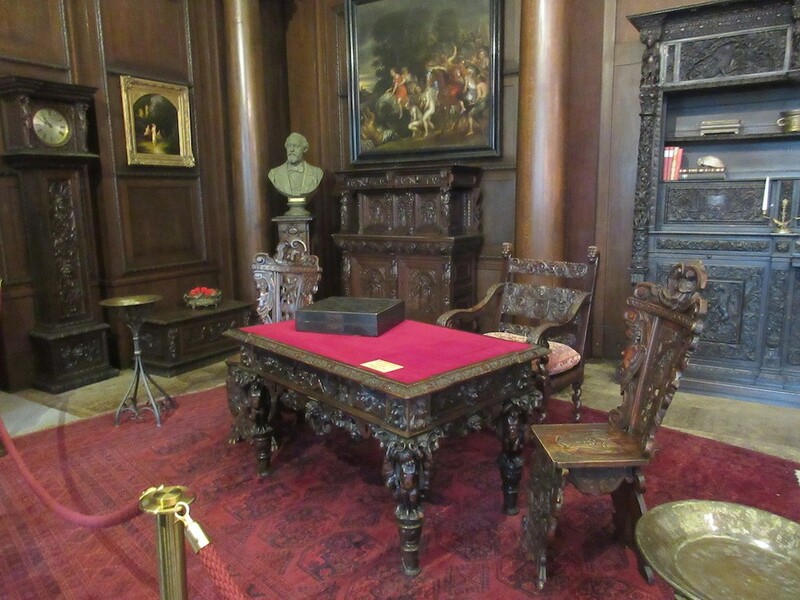 Today the castle is still furnished with Renaissance and Baroque furniture collected by the Ravene family. 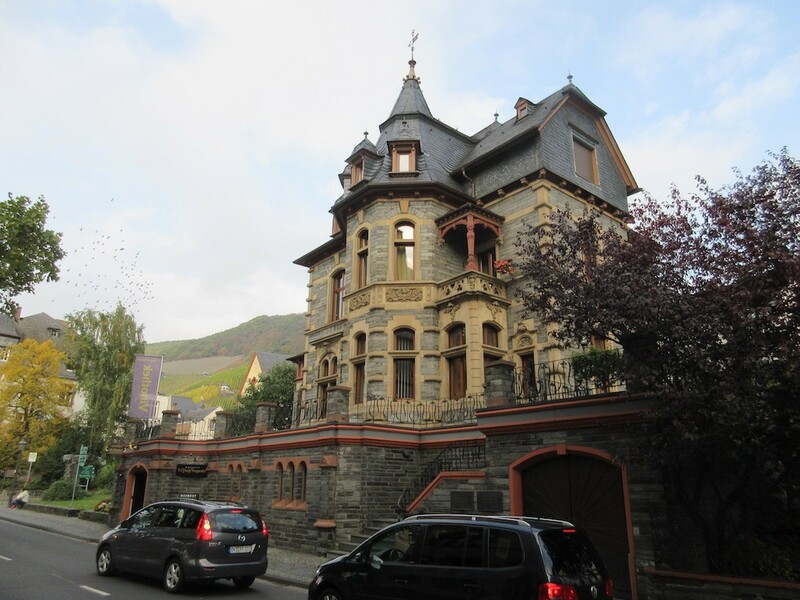 Since 1978 the castle has been owned by the local town of Cochem. 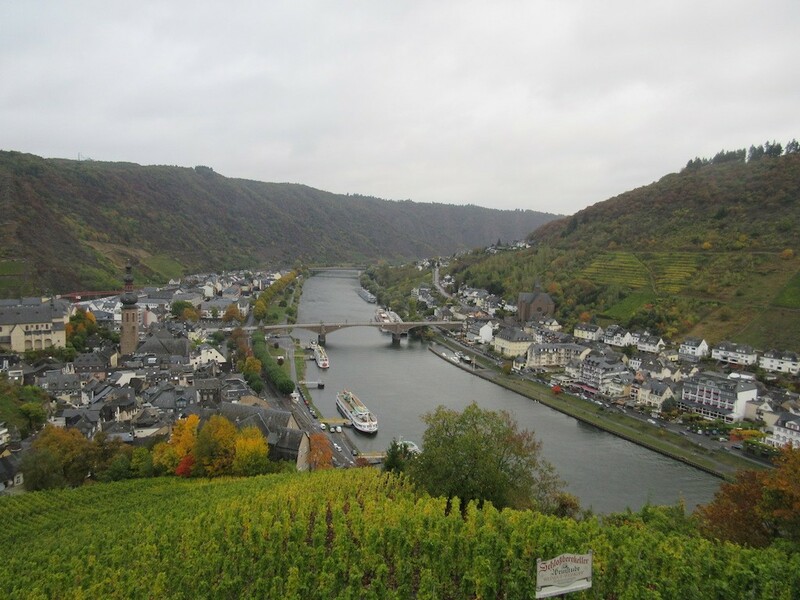 You have panoramic views over the Moselle River from the castle as well as the surrounding vineyards and the entire town of Cochem. The castle tour took us through the main public rooms that are elaborately furnished in an eclectic variety of furnishings from many periods of time and regions of the world. There are taxidermy animals, Asian carpets and vases, elaborately hand carved furniture, stained glass windows and so much more. After our tour of the castle we walked back to the ship through the charming village streets. The narrow winding lanes are filled with small shops, restaurants and bakeries full of delicious looking cakes, oversized cream puffs and Black Forest Cakes. 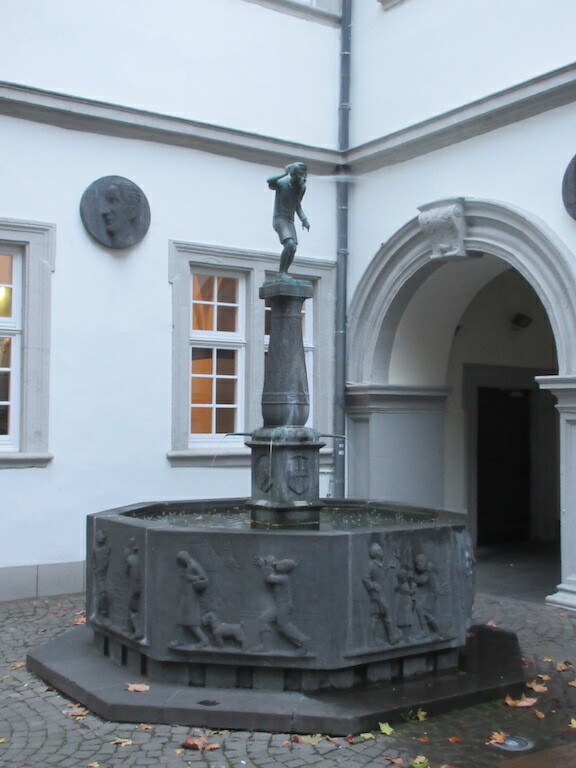 Many of the buildings date back hundreds of years and feature unique architecture and ornamentation. We set sail at 12:45pm for our next port of call. At 3:00pm Monika, our wine expert onboard, provided us with information about the local Reisling wines complete with a wine tasting. The food onboard has been good but not exceptional. For breakfast they offer an omelet station plus a full buffet. The buffet always has fresh fruit, cereals, oatmeal, bacon, eggs, toast and a couple of unique items like French toast or stuffed crepes. At lunch they serve a choice of a hot or cold soup, a choice of two hot entrees and a sandwich option, plus an option of two desserts. For dinner there is usually a soup, an appetizer, a choice of three entrees and a choice of dessert. Red and white wine flows freely at dinner. The desserts are often not as sweet as we would prefer and they often sound better than they taste. For lunch today they offered what they called lemon pie. Their version of lemon pie was a thin slice of white cake on the bottom with a lemon flavored whip cream filling and little sugar and covered with raspberry sauce. The weather was rather cool today requiring a fleece and heavy jacket to go out in the elements. The morning was dry but by afternoon we had some light sprinkles and grey skies. The afternoon cruising included miles of quaint charming towns and villages, several locks and endless rows of vineyards. Rising up from the waters edge are row after row of grapevines, often planted in vertical rows. The hillsides are often steep but they continue to plant the grapes as high as humanly possible. Maintaining these vines must be extremely difficult not to mention the difficulty they must have with harvesting the fruit. After dinner they showed the movie Patton in preparation of our visit to Luxembourg the next day where General George S. Patton is buried. This morning we departed Bruges about 8:30am, bound for the town of Arnhem in The Netherlands. The weather was beautiful, sunny and warmer than it had been over the last couple of days. The drive took about two hours to reach the border with The Netherlands where we were greeted by a local guide from Arnhem. We stopped at a roadside convenience stop near the border for the bus driver’s mandatory rest period before proceeding on to Arnhem. The drive from the border was another 1.5 hours to our ship in Arnhem. Arnhem, a city of about 150,000, is located in the Eastern part of the Netherlands and is where we board our riverboat called the Ms. River Splendor. The River Splendor, built in 2013, is a 442-foot-long by 38-foot-wide riverboat with a maximum capacity of 176 passengers and 46 crew members. This will be our home for the next two weeks. Arnhem was a genteel nineteenth-century resort town admired for its wealthy homes and lush parks. Its renown grew during World War II, when an attempt to liberate the city failed after British, and Polish paratroopers were dropped too far from the city’s strategically important bridge to take it. Their heroism was depicted in the 1977 film A Bridge Too Far. After lunch onboard we took an afternoon walking tour into town. Being a Sunday afternoon, many of the local shops were closed but most of the restaurants were open and the streets were filled with locals out for a bite to eat or an afternoon beer. We stopped at an old beautiful church called Eusebous Church, only used for church services once a month and now mostly used as a public exhibition space and performance hall. No altar, pews or ornamentation remain in the church. They were having an organ concert played on an ornate organ installed in the 15th-century church after World War II. The church features a 300-foot-tall bell tower with the largest carillon bell in The Netherlands. 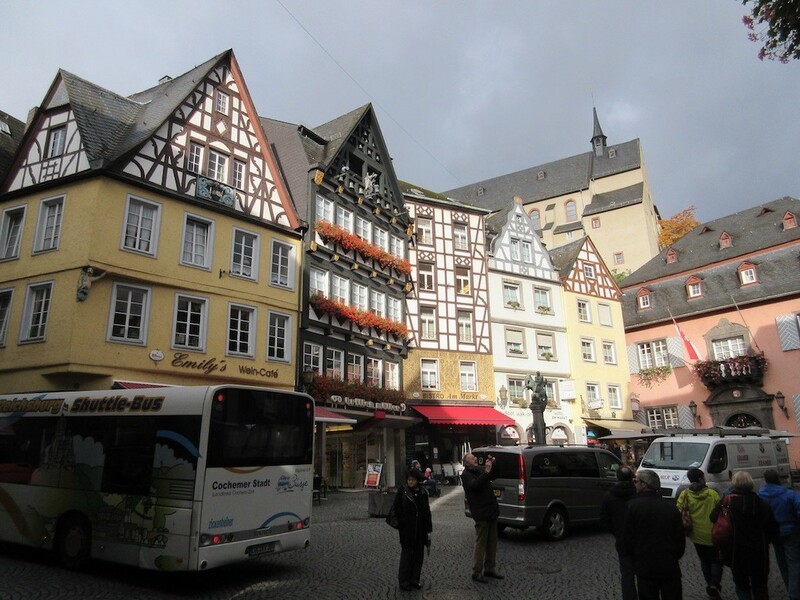 The streets were filled with gorgeous architecturally stunning buildings built over the last several hundred years. The old post office now being converted to a brewery is stunning. Many of the shops were unique to us and featured beautiful clothing, instruments, cafes and shops. Many of the streets are pedestrian only, which allows you to wander freely without the fear of being hit by a car, but you still need to watch for bicycles that are everywhere in the city. 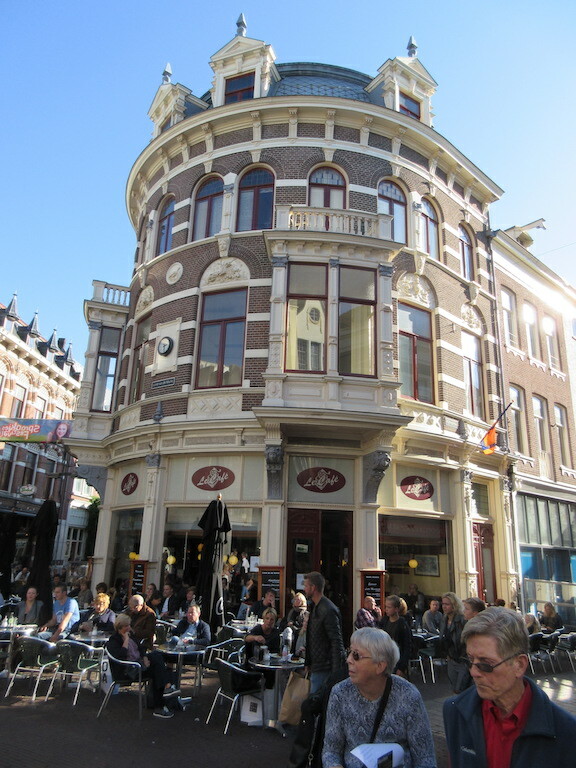 Our 50 room hotel was the 19th century aristocratic house of Baron de Peellaert and is located just 500 feet from the cities Big Market Square. It is very grand with beautiful traditional public rooms with crown moldings, heavy draperies, wing back chairs, ornate chandeliers and fine wood furniture. Our buffet breakfast was served in the Orangerie room with a view of the hotels inner garden. Scrambled eggs, fresh fruit, cold-cuts, bacon, sausage, pastries and breads, cereal, juice and coffee were served. Very nice! We met a couple named Marie and Charlie at breakfast who were on the river cruise we took last year from Paris to Normandy and back. Otherwise we do not recognize any of the folks on the trip with us. Our local guide, who grew up in Bruges, took us on a three-hour walking tour around the center of town to see some of the highlights. 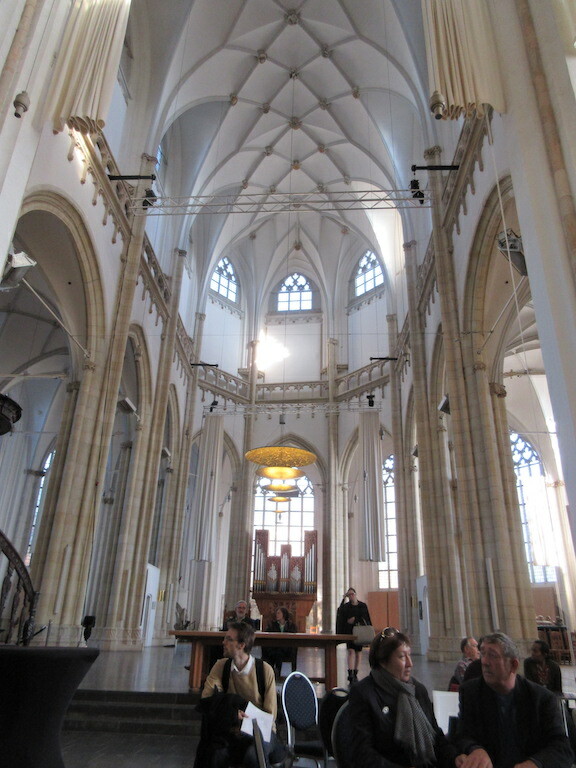 We visited the Onze-Lieve-Vrouwekerk church which dominates the Brugian skyline with its 373-foot-tall tower. This makes it the second highest brick building in the world. 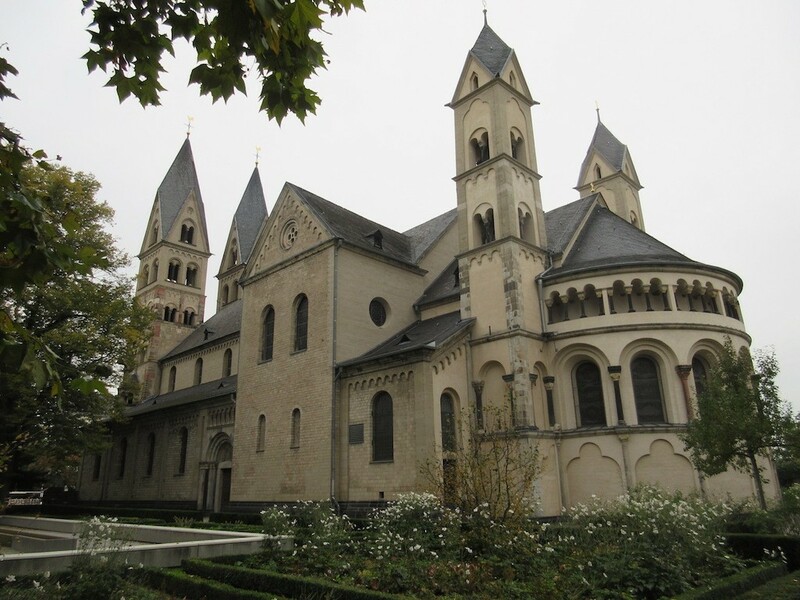 Building work on the current church began in 1225. It has a main central nave in Tourney stone finished in a typical Gothic style. It was the 15th century before a spire crowned the church tower, and even later when the choir and the central nave were finally roofed over. 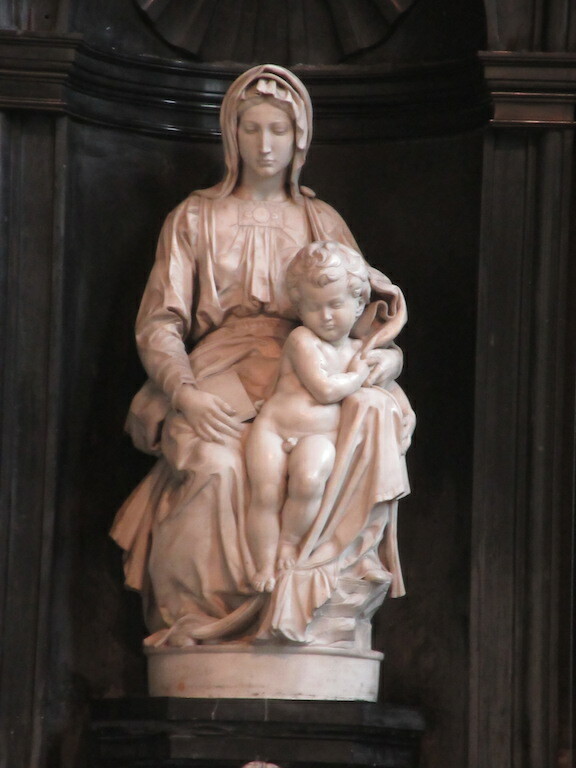 The highlight of the church is Michelangelo’s marble Madonna and Child from 1505. 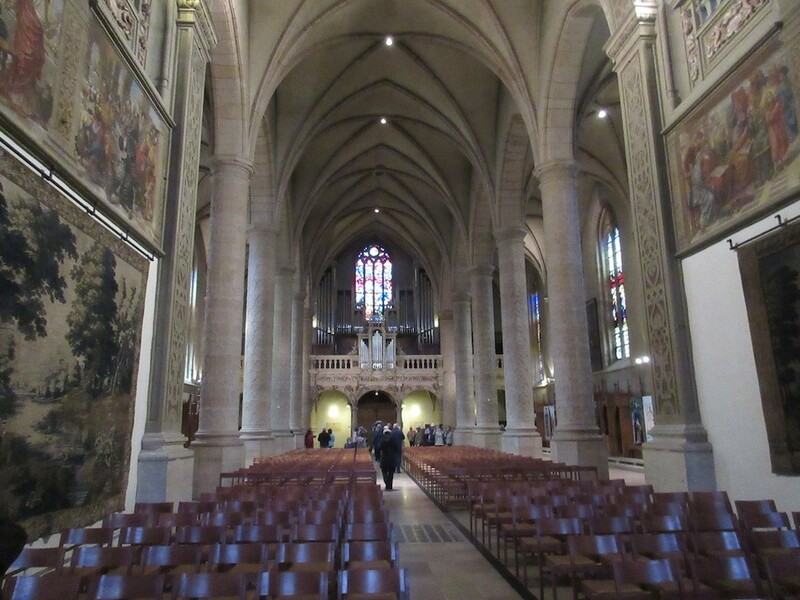 The choir contains the tombs of Mary of Burgundy and Charles the Bold. Above the alter hangs a triptych showing the passion of Christ by the official court painter of Margaret of Austria, Bernard van Orley. We also visited a chocolate shop where they make their own chocolates and we even got to sample the chocolate. In the afternoon we went out walking with several ladies who are traveling alone. They were interested in visiting the Adornes Estate which has been in the same family since the early 1400’s. At the estate you are able to visit the Jerusalem Chapel that was consecrated in 1429 and was inspired by the Church of the Holy Sepulcher in Jerusalem. 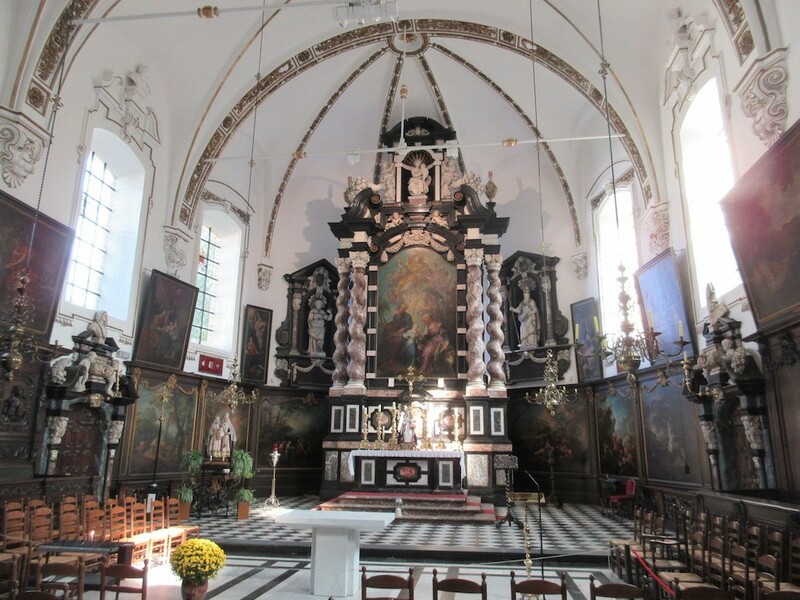 We also visited a very ornate church called St. Anna’s Church, the Basilica of the Holy Blood and Magdalene’s Church. Along our walk we took in the Begijnhof Nunnery where we visited a small museum on the site. Just outside of the nunnery was a large section of canal where a large number of white swans were hanging out. We stopped at a small waffle shop where we ordered Belgium waffles for everyone. The waffles came with chocolate, bananas, honey or plain. The waffles were made from a thick dough and they have a fair amount of sugar in them. The density of them is much heavier than we have at home. After our four hour walk, we joined the other guests at a local brewery where we each tried a local variety of beer. The type of beer that I tried was one that was a bit sweeter and had a cherry flavor. Still not my thing, but it was interesting to try. For dinner Kent and I had a bite to eat at an Asian noodle shop called Marco Polo Noodles. The food was very nice. 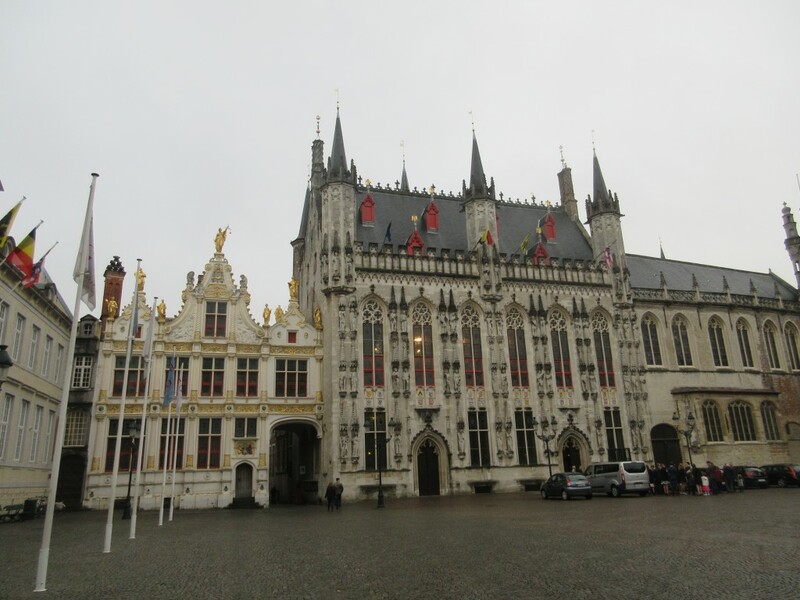 This morning we arrived in Brussels at 9:15am local time before we were taken by bus to the town of Bruges located about 65 miles away. The drive took us through beautiful countryside where the fall leaves are beginning to turn. We saw many corn fields, horses, cattle and sheep. Belgium is located on the North Sea surrounded by the Netherlands and Germany on the east, France on the west and Luxembourg on the south. Belgium has a population of about 11,000,000 inhabitants. Because of its proximity to these other nations, 60% of the population speak Dutch while the other 40% speak French. 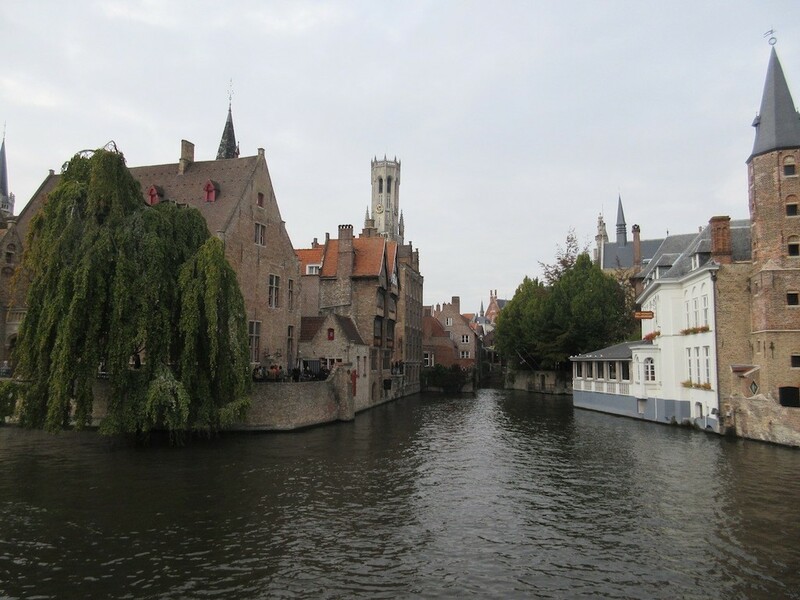 The name Bruges is derived from the Old Dutch word meaning bridge. Bruges is the capital and the largest city of the province of West Flanders in the Flemish Region of Belgium, in the northwest of the country. Bruges has a population of about 125,000 people and is a canal-based city similar to Amsterdam and Stockholm. Some refer to it as the Venice of the north. 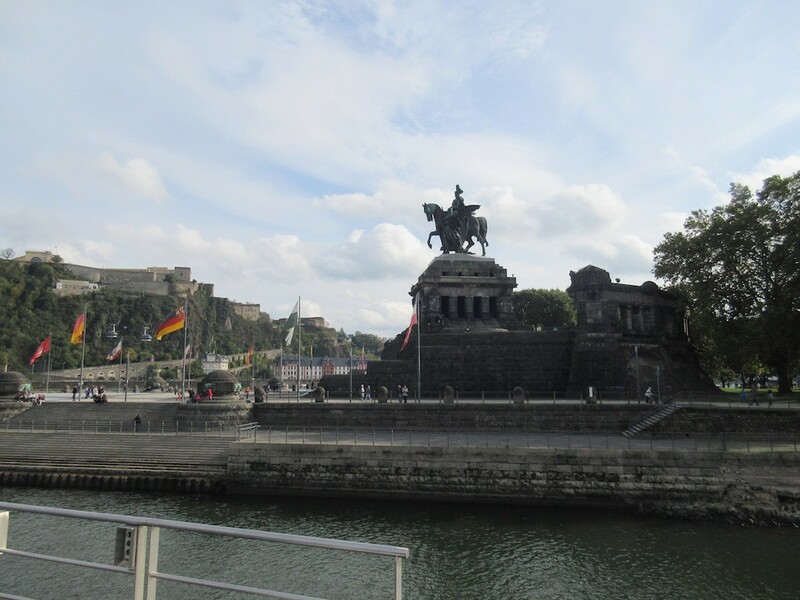 Due to its port it has significant economic importance and was once the chief commercial city of the world. The historic center of Bruges is a UNESCO World Heritage Site created to protect the city with the best preserved historic medieval architecture. The most famous landmark is its 13th Century belfry housing 48 bells. The city still employs a full-time carillonneur, who gives free concerts on a regular basis. The Belfry tower stands some 272 feet high and is accessible for the public to walk up the tower’s 366 steps to the top. 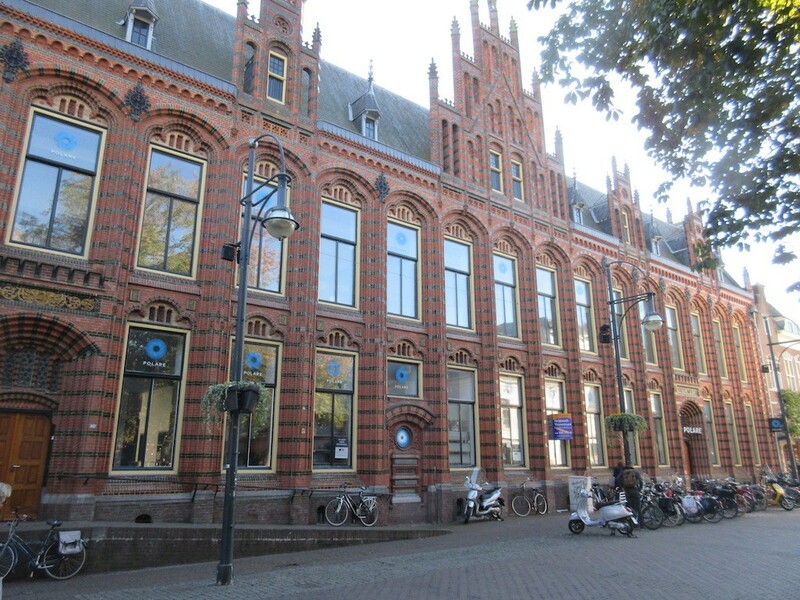 Our hotel for two nights is the Oud Huis de Peellaert located just a couple of blocks from the main market square in the center of town. This 50 room historic hotel was created from two 19th century buildings built in the empire and classical style. We were taken on a short walking tour around the heart of this historic city by our city host before exploring on our own for the remainder of the afternoon. Meandering cobblestone streets lined with beautiful stone and brick buildings line the streets. 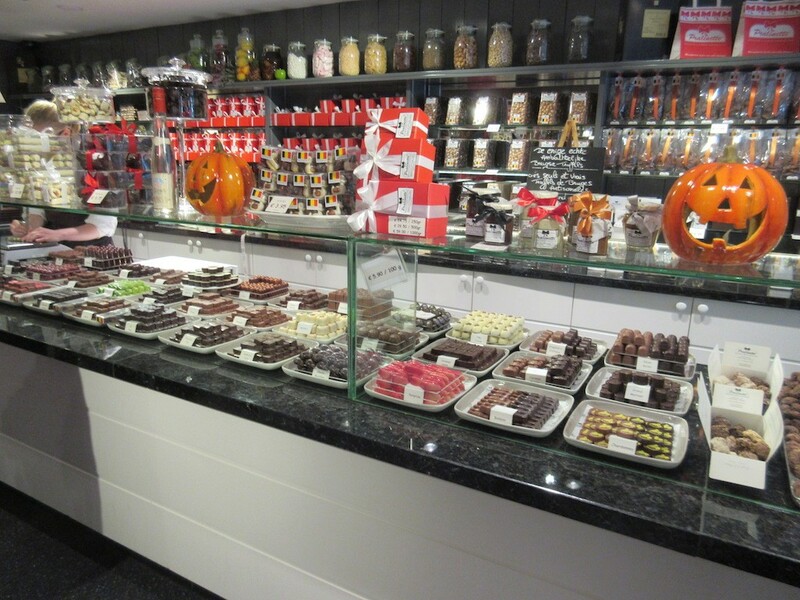 There are many chocolate shops, restaurants and stylish fashion shops. We stopped at a local hotel’s tea room for some croquettes for lunch. In the early evening we had a welcome drink with the city host and the 38 of us who are on the pre-river cruise extension to Bruges. By 8:30pm we were exhausted and turned in for the night without having dinner. We departed San Diego this morning at 7:00am bound for New York’s Kennedy Airport where we boarded a flight at 7:35pm local time bound for Brussels, Belgium. On the flight from New York to Brussels there were about a dozen Haredi (Orthodox) Jewish families onboard with anywhere from four to seven children each. I don’t believe that I have been around so many traditionally dressed Jewish folks in my life. They were all very polite, friendly and looked after the children well. They were headed to Antwerp, Belgium for something.